Last weekend, Terrain at Styers – the nursery and oasis of home and garden gifts and artisinal food products – in Glen Mills, PA, held its annual Heirloom Tomato Festival. There we found the most beautiful, tasty tomatoes of the summer. Happy Cat Farm in Kennett Square, PA, offered baskets of cherry tomatoes of all colors, shapes and sizes. Each variety has proven to have a distinct flavor – sweet, sour or tart. Blue Moon Acres of Pennington, NJ, and Buckingham, PA, also traveled to the festival with its heirlooms and lettuces, including a microgreen sampler. 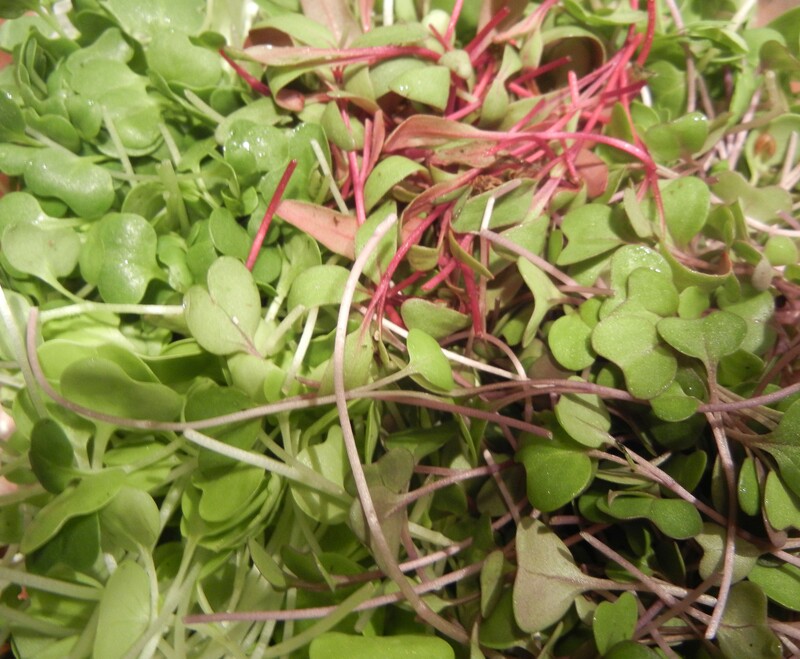 The salad du jour since the festival has been heirlooms and mozzarella topped with vibrant microgreens. Check out Happy Cat Farm and Blue Moon Acres online to learn more about their products and how to visit. This entry was posted in Uncategorized and tagged Cooking, Food, Summer, Tomato. Bookmark the permalink.